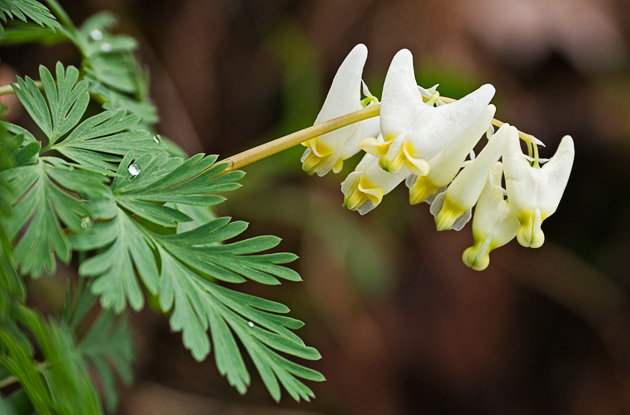 Dutchmans Breeches (Dicentra cucullaria) is a unique early spring wildflower found in the Smoky Mountains. 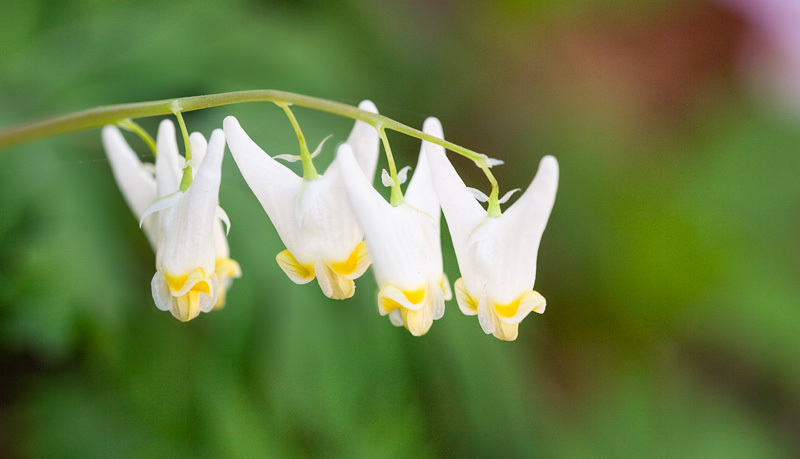 The name of course comes from the blooms, which look like pairs of tiny pantaloons hanging from a clothesline. Look for this stunning wildflower along the Cove Hardwoods Nature Trail in the Chimney Tops picnic area on the Newfound Gap Road. 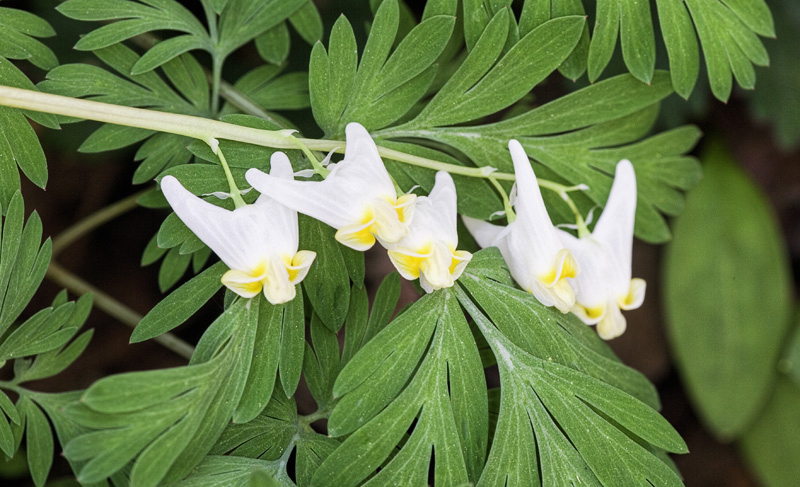 Like many of the wildflowers, Dutchmans Breeches is so small and delicate that it helps to know what the leaf looks like. The photo below shows the finely dissected deep green leaves, which you may have to separate with your hands to find the blooms. As with many wildflowers, this one has a use by humans. 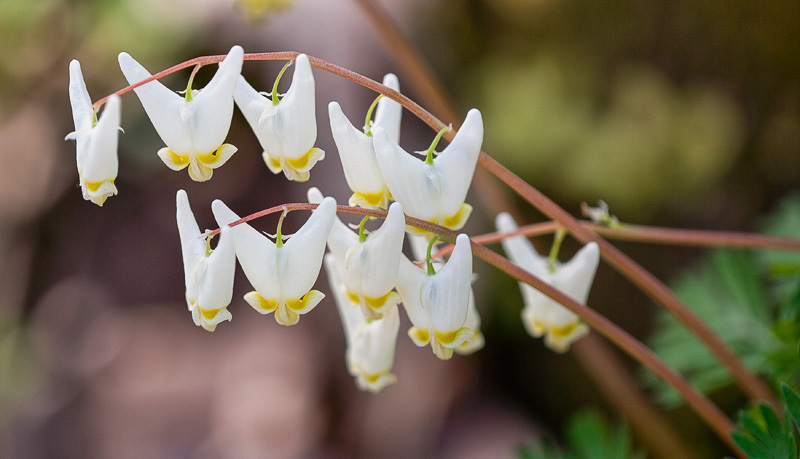 Legend has it that Native Americans used Dutchmans Breeches as a love charm, and that a man’s breath after chewing the root would attract a woman even against her will.